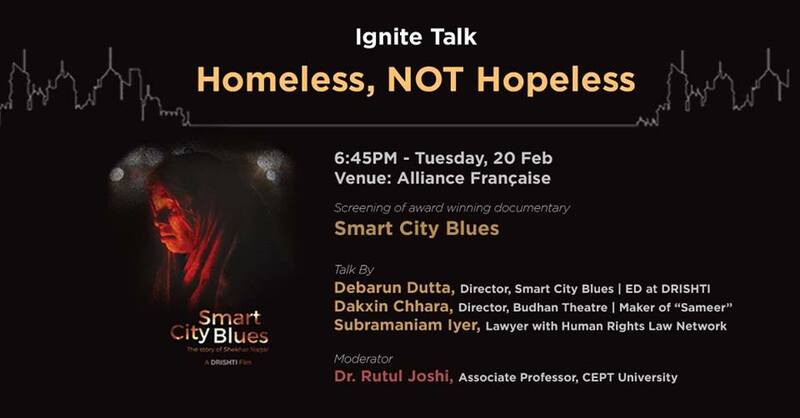 Ahmedabad Global Shapers bring yet another Ignite Talk, this time with the screening of an award winning documentary – Smart City Blues (Winner at Noida International Film Festival) for the first time in the city. The film is about the combat between the civic administration and a waste picker community’s right to housing and livelihood. Rutul Joshi, Assistant Professor at CEPT University is going to moderate the panel discussion on the issue of resettlement. Do join us in understanding the parallel stories of smart cities and their effect.